Some may remember the classic Wii title De Blob, a game released back in 2008 and was loved for its creative and colorful ideas. Last year, THQ Nordic brought De Blob to the PlayStation 4 and Xbox One, and it is now teaming up with Blitworks to bring the game over to the Nintendo Switch. 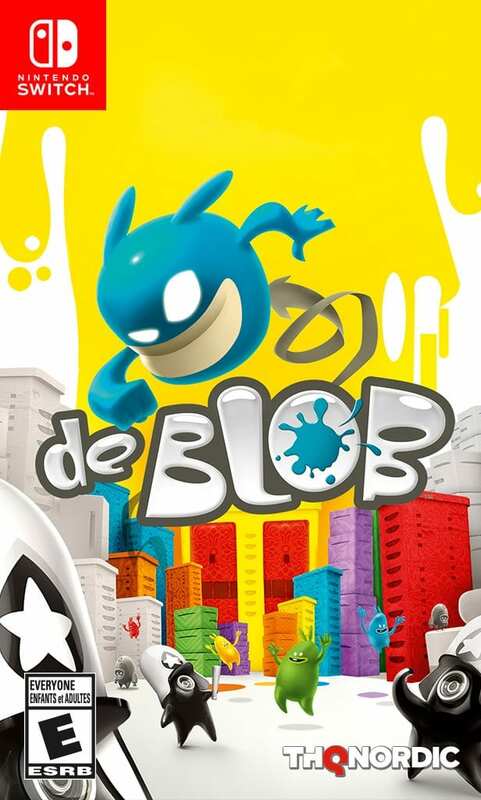 For those unfamiliar with De Blob, it is a platformer that tasks you with saving Chroma City from a black-and-white fate. You will need to bring color back to the city using your unique abilities to literally paint the town. The game features a story mode, as well as support for up to four-player split-screen multiplayer across eight different modes. This remastered version brings the usual batch of updated textures and graphics, taking advantage of the more powerful hardware. But it maintains the same fun color-based platforming that made the original release a beloved game among the Wii’s library. Although the Switch iteration will offer the bonus of portable play, no release date has been announced at this time. If you don’t want to wait, you can get De Blob right now on PS4 and Xbox One. Stardew Valley: to Play or Not to Play?